Although the diagrams below show terminals for specific models, the concept is universal. 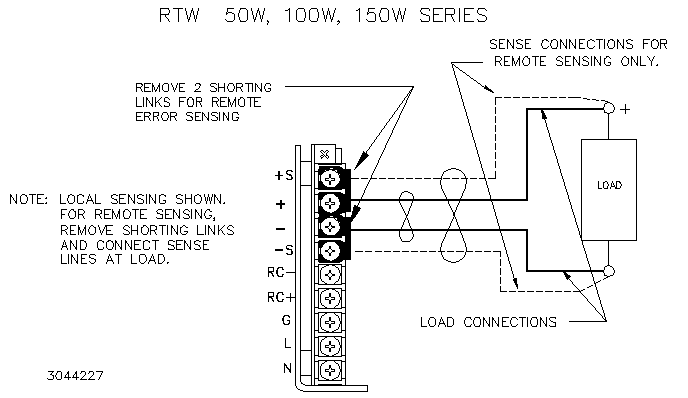 For local sensing, use shorting links supplied with the unit to connect sense lines to output connections at the power supply. For remote sensing first remove the shorting links connecting the sense lines to the output at the power supply, then connect the sense line to the output at the load. NOTE: For models not illustrated below, refer to the associated Operator's Manual.